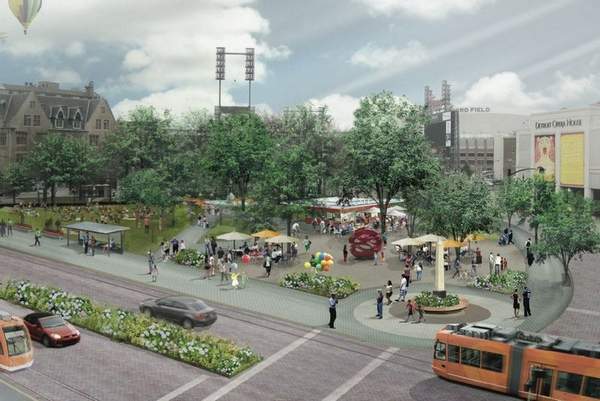 Rendering of Dan Gilbert’s vision for a redesigned Cadillac Square as a walking mall filled with new shops and attractions. Haven’t we heard this story before? In the 1970s it was Henry Ford II and the Renaissance Center. In the late 80s it was Mike Ilitch and his purchase of the Tigers and the Fox. 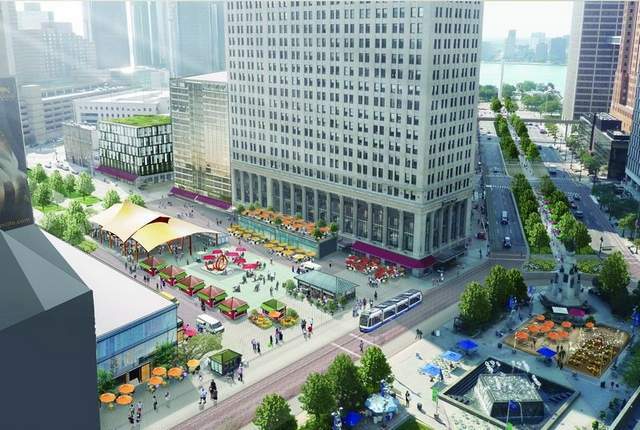 In the 90s in was Peter Karmanos and Compuware moving to Campus Martius. 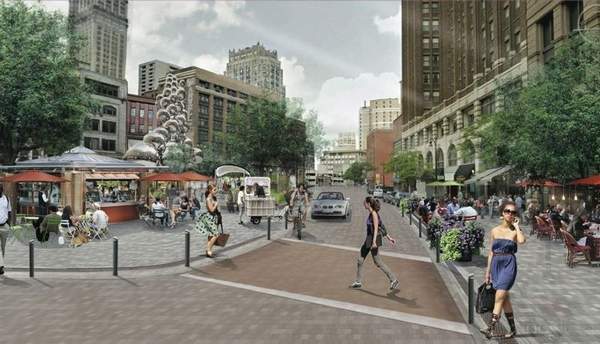 Now its Quicken Loans’ Dan Gilbert and his grand vision of downtown Detroit. I don’t knock any of these efforts, but when are we going to stop thinking that the champion of Detroit is a businessman who has made millions of dollars being more interested in profits than in altruism? I just wished we would stop expecting the cavalry to come over the hill and save Detroit. Instead, we need to demand and push for more accountability from Detroiters and their leaders. Taking the responsibility off of the collective shoulders of Detroit is part of the problem at this time. I think this proposed project is great. But is it me or do we seem to be repeatedly develop the same 8 to 12 blocks downtown? Glibert’s rendering for a new, vibrant Capitol Park, From 1805 to 1847 this area of Detroit was the seat of Michigan State Government, hence the name. Previous Previous post: Crowdfunding TV: A Good Thing?